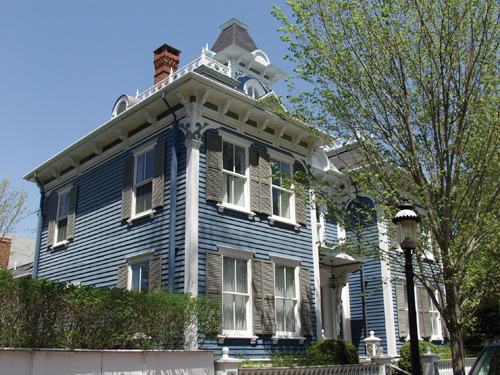 Victorian architecture was popular throughout the country after the Civil War and gained favor on Nantucket with the rise of the tourist industry in the 1880s. This style embraced ornate decoration, multi paint colors as well as irregular floor plans. Common features included bay windows, cornices supported by sawn brackets, porches with turned posts, and steep gable or mansard roofs with dormers. By the 1920s Victorian architecture was out of fashion and many buildings were stripped of their decorative elements often called gingerbread. Previous PostFriday Find: Micro LoftsNext PostGoodbyes are never fun!